Few mere mortals have ever embarked on such bold and heart-stirring adventures, overcome myriad monstrous perils, or outwitted scheming vengeful gods, quite as stylishly and triumphantly as Greek heroes.Join Jason aboard the Argo as he quests for the Golden Fleece. See Atalanta - who was raised by bears - outrun any man before being tricked with golden apples. 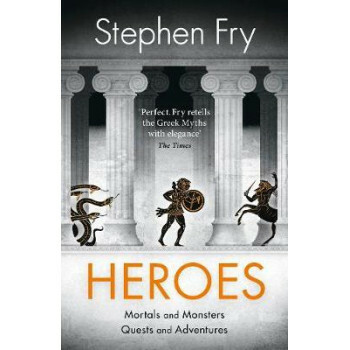 Witness wily Oedipus solve the riddle of the Sphinx and discover how Bellerophon captures the winged horse Pegasus to help him slay the monster Chimera.Heroes is the story of what we mortals are truly capable of - at our worst and our very best.